Mouth-watering sauces can truly enhance the aroma and taste of your favorite dishes. Turn any plain, ordinary meal into a gourmet one. Even a simple vegetable dish can be made extraordinary. The Best Sauce Recipe Ever cookbook is here to help you! The Best Sauce Recipe Ever cookbook is filled with easy-to-follow recipes, and don't consist of expensive ingredients. Whether you want to prepare a simple or unique sauce recipe, expect that it will jazz up any dish. Are you fond of cooking or just want to make easy dishes your family and friends will love? 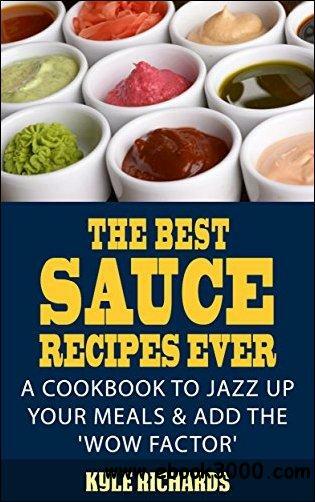 Then, this sauce cookbook is perfect for you, it will add the 'Wow Factor' into your meals, impressing those you care about. What are you waiting for? Get your copy now.